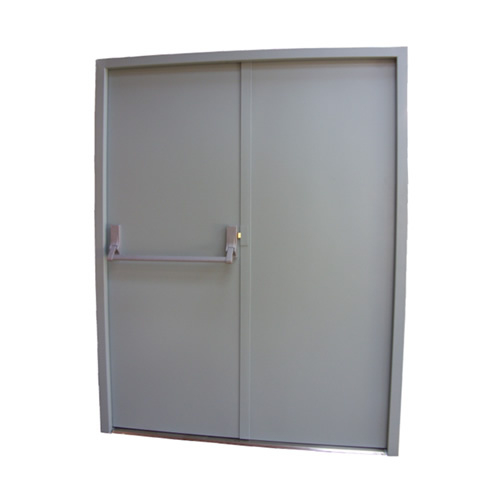 Manufactured from 1.0 zintec steel, double skinned with interlocking seams reinforced vertically with interlocking channels. Reinforced headplate, footplate and centreplate for furniture fixing. Spaces are filled with Rockwool core. Description: Manufactured from 2.0mm zintec formed to double rebated profile fully welded form, reinforced and fitted with fixing plates and anti jemmy devices. Jacking Screws fitted as standard.